Powered by Grapes PTE. LTD.
Powered by Grapes is a Singapore based company that enhance lives with innovative products that are made from, or are inspired by, wine grapes. They have many years of experience in the winemaking and viticulture industry, and also provide professional services related to wine grapes to clients within Southeast Asia. 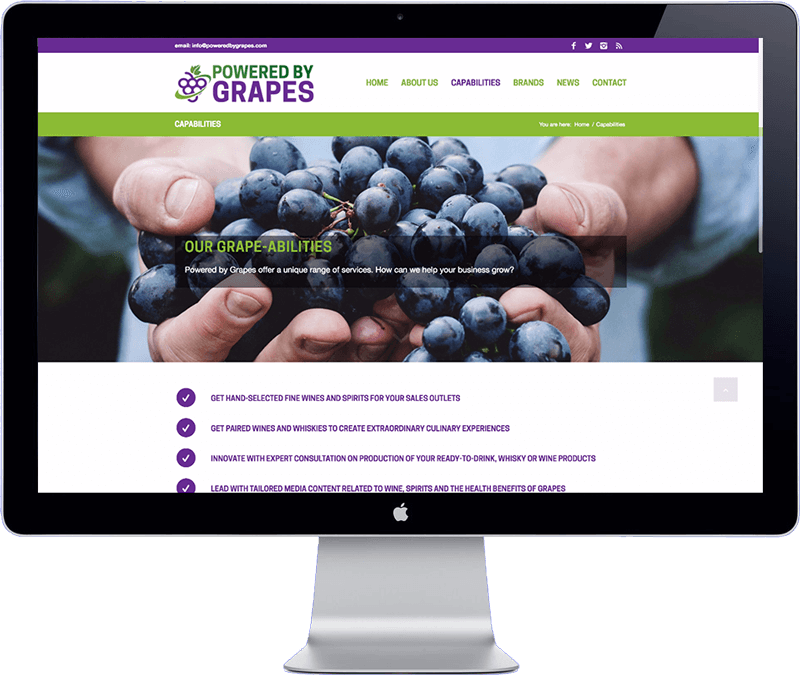 The managing director of Powered by Grapes contacted me through my website with the request for a website for their new company. After talking on Skype we drafted a plan together. The new website reflects their brand identity, inform visitors about their products and has the ability to publish company news in a blog format. The website is easy to update, optimized for search engines (SEO), loads fast and is secure. I’ve referred the client to a copywriter to help them write the text content for the website. The website has been developed with WordPress Content Management System. The customer received training on how to update the website themselve over Skype.